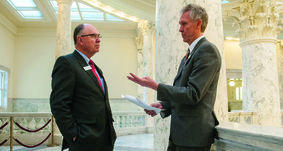 A plan for a pay-as-you-go local-option sales tax for cities and counties is being developed by the Idaho Chamber Alliance’s lobbyist, John Watts with Veritas Advisors, though he said he won’t predict how much, if any, progress it will make this year. 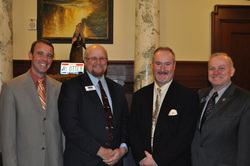 The Idaho Chamber Alliance is actively engaged in lobbying for its legislative priorities on behalf of its members. These positions are set and prioritized by Chamber members attending regional summits in the fall. Visit the link below for our full list of priorities.